Winner is Swedese with “Mirror” designed by FRONT. Motivation: Starting with a relevant and sustainable production process, Swedese and Front have created a mirror from waste material that has sculptural qualities and a strong character. 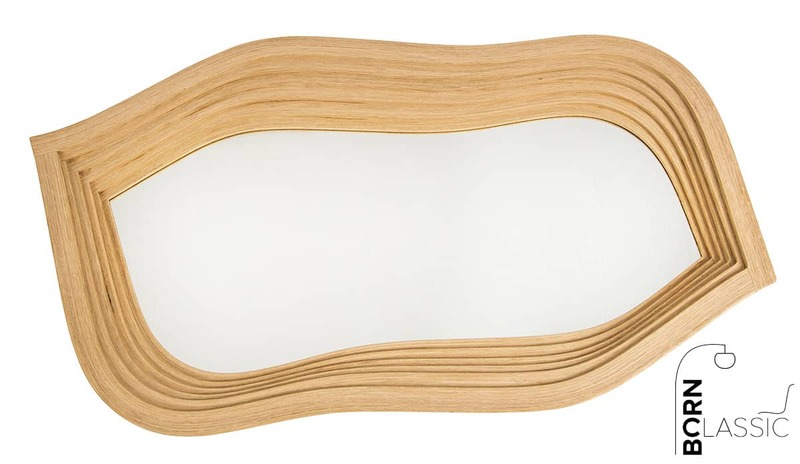 Produced in a limited edition, the mirror can be a future classic and potentially a collector’s item. Stockholm Furniture & Light Fair is establishing a new design award – Born Classic – in collaboration with the auction house Bukowskis, which will form the jury. The award will go to a piece of furniture or lighting that has qualities that could make it a design classic of the future. The objective is to bring attention to and encourage good, long lasting design. Stockholm Furniture & Light Fair has established a new design award – Born Classic – that will go to a new product designed by a Scandinavian designer or made by a Scandinavian producer. “A lot of very good design is being created in Scandinavia today, design that is high-quality, sustainable and innovative. We want to draw attention to and encourage this, and we are very pleased that Bukowskis will form the jury. We believe that Bukowskis’ specialists could offer new perspectives on how we view design. It will be very exciting to see and hear why they think the nominated products have qualities that could make them auction items in the future,” says Cecilia Nyberg, Project Area Manager, Stockholm Furniture & Light Fair and Stockholm Design Week. “It is great that Stockholm Furniture & Light Fair wants to establish this prestigious award, and Bukowskis is proud to present a jury that focuses on sustainable design from several perspectives with different backgrounds and experience. Quality and sustainability have always been key words for Bukowskis, and we hope that this award will encourage more young designers to be creative and innovative, particularly from a sustainability perspective,” says Björn Extergren, Head of Consignment & Sales at Bukowskis. Eva Seeman: Eva studied at Christie’s in London and has worked at Bukowskis since 1987 as a specialist in design and 20th century works of art. Henrik Åberg: Henrik is a trained art historian. He works at Bukowskis as a specialist in furniture and works of art and has more than 20 years’ experience in the industry. Jonatan Jahn: Jonatan works at Bukowskis as a specialist in design and 20th-21st century works of art and has extensive experience from MoMA in New York and Nationalmuseum in Stockholm. Nominations to “Born Classic 2019” from Bukowskis’ jury: Henrik Åberg, Jonatan Jahn and Eva Seeman.